Probiotics are the healthy bacteria that stimulate your digestive system by enhancing some natural enzymes that help to improve your digestive capacity. You can include some healthy foods rich in probiotics in your daily meal which will keep these live bacteria healthy and alive. In order to stay fit and strong you need to have a good digestion otherwise whatever healthy diet you are eating or drinking will be proved useless in the lack of proper digestion. A weaker digestive power also leads to many critical health-related problems. But with probiotic foods as well as its supplements you don’t need to worry about your digestion. Remember while shopping for probiotic foods and supplements that these are organic only as this will work on you in a much more effective way. There are lots of probiotic food readily available in the market which is good for your health. Benefits of probiotic foods for health are enormous. Below we have enlisted best probiotic foods which are good for your overall health. Remember always look for the organic version of these foods rich in probiotics. Kimchi is a very well-known and delicious Korean side dish which you can eat along with your meal. 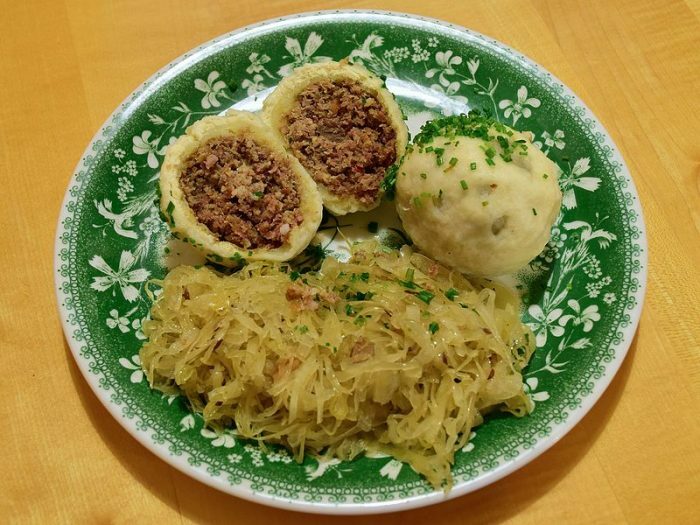 It is prepared by the fragmented cabbage mixed with pickle ingredients. Its taste is very spicy so anyone would like to include in their daily intake. 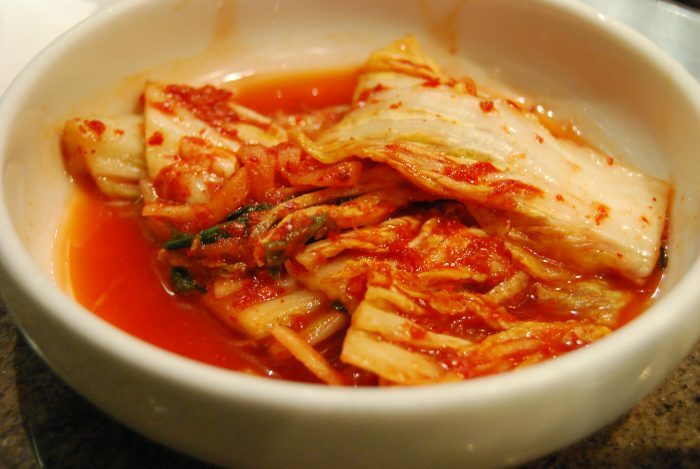 Kimchi is rich in essential calcium, probiotics, and vitamins. Its taste will really suit your taste buds so stay now fit and healthy with a daily healthy diet in the form of kimchi. Now eat as much as you want, kimchi is there to digest everything. Apart from cabbage, it can be prepared from any other vegetable also. For adding more taste to it you can include ginger, garlic, red chili pepper, salt and scallion as its other essential ingredients. The lactic acid bacteria existing in kimchi helps to stimulate your digestive power. Sauerkraut is also very much similar to the kimchi. It is prepared by cabbage fermentation and a very rich organic source of probiotic. Apart from healthy bacteria, it is a very good source of vitamin A, B, C & K. You can add it in your daily meal as the side dish or it can be spread on burgers, hot dog, soup etc. for enhancing more taste and spice. While buying sauerkraut from marker read its ingredient first. Make sure that raw form of ingredients are been utilized in this as it is good for your health. You can also prepare it in your home only as its recipe is very easy and when it is prepared at home you will be confident about the ingredients used in it. It is rich in lactobacillus bacteria which boosts to your intestine with its healthy digestive enzyme and hence improves your digestive capacity. Apart from improving your digestion power it also stimulates your immunity and other health benefits are associated with its regular intake. 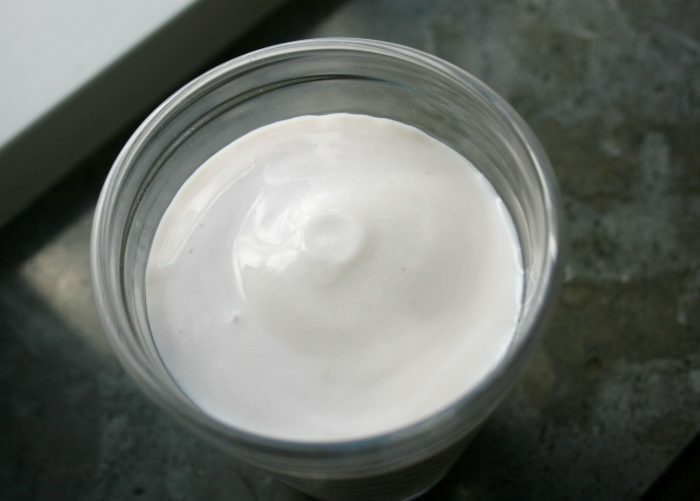 The live cultured yogurt is considered among the top rank probiotic foods. It can be prepared at home also which is considering as much more beneficial than the yogurt available in the market. The lactobacillus bacteria works actively in its preparation. However, after pasteurization, other forms of healthy bacteria are added to it naming bifudus, bulgaricus, and thermophillius. The best form of yogurt you can get if it’s prepared with goat or sheep milk. Cow milk’s yogurts are also good but the best one is of goat milk. So make sure before purchasing it from the market that its ingredient include grass-eating animals especially goat. This is the best source of probiotic and by taste wise also it is awesome. So add it to your daily intake along with your milk and stimulate your digestive system. You can eat it directly or you can mix it with nuts or fruits or seeds. It can be used for dip and dressing purpose or it can be utilized as a sour cream. Pickles are one of the primary sources of probiotics. Pickle prepared by cucumber is considered as best probiotic food. Apart from cucumber, it can be prepared with other vegetables also which are also a rich source of probiotic. As its taste is spicy so anyone can like it as a side dish and reap its probiotic benefits. While purchasing it from market check its ingredients. Make sure it’s prepared with organic items then only buy it. It can be prepared at home also. 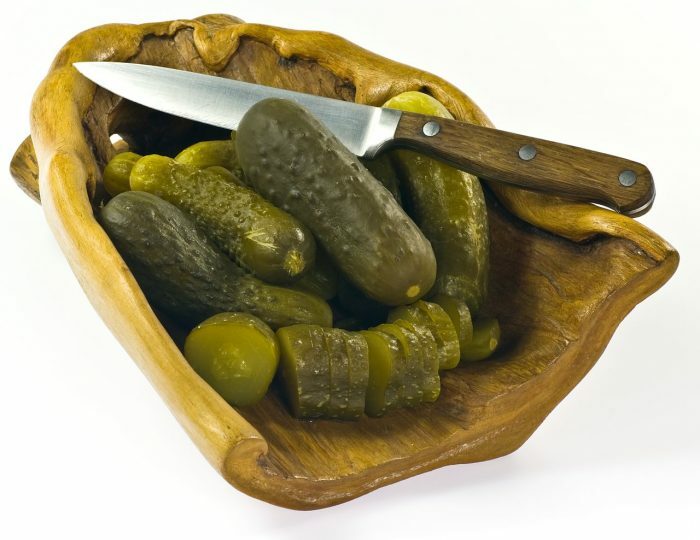 So prepare your own pickle with healthy organic ingredients and improve your digestion power with its regular intake. Not all pickles are a healthy source of probiotic. Only fermented pickles are good for you. So make sure that the pickle you are going to select is not only just pickled instead it is fermented. 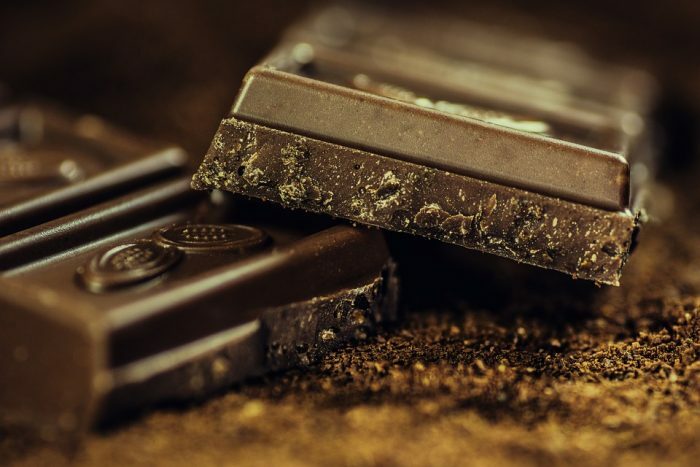 Dark chocolates are another good source of probiotics as well as antioxidants which stimulate your digestive system and keep you healthy and fit. These chocolates are very delicious as well as full of nutrition so along with improving your health it satisfies your taste buds too. Dark chocolates help to survive digestive enzymes. It is a good source of prebiotics which carries microbes that helps in converting the chocolate into an anti-inflammatory compound. Make sure that 70% of its ingredient is of cocoa content then only buy it. Even two pieces of the chocolate bar are enough for improving your digestive enzymes. 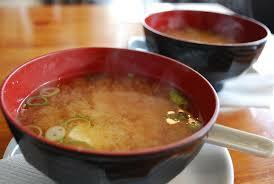 Miso is the oldest form of Japanese soup prepared by the fragmentation of brown rice, soybean along with koji. Koji is one kind of fungus which helps in the fermentation of miso’s ingredients. You can buy it from market also as ready soup powder. You can have it as a soup or as per your wish you can spread it on the cracker or can be used in the place of butter on your meal. This is a rich source of probiotic. So have it every day for improving your digestive capacity. Apart from improving your digestion it also enhances your immunity power. The probiotic enzymes lie in it feeds to the healthy bacteria already living in your guts and this way it stimulates your intestine and keeps you away from gastric related problems. Kombucha or fermented tea is a rich source of probiotic. This is the oldest form of a beverage prepared by fermenting the black tea leaves. 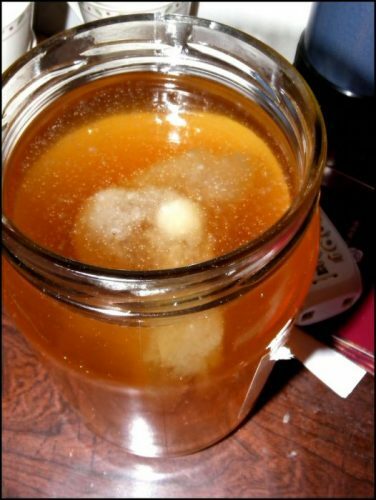 One especial bacteria named SCOBY is used for its fermentation which is good for health as it stimulates your digestion power. It will be best if it is prepared at home. You can refrigerate it also for two to three days under the condition you like its taste thereafter. Apart from improving your digestion it also increases your energy level and even it is useful for weight loss purpose too. So sip a healthy drink in every morning in the form of kombucha tea and make your whole day much more refreshing and energetic. You can get its raw packets in any departmental stores. Read the ingredients before buying it. Though it is good for your intestinal system, people having trouble with candida should avoid it. Tempeh is a fermented form of soybean having a natural meaty flavor that is why it is used as a substitute for meat by the vegetarians. It is a rich source of vitamin B12 and protein. As it carries high calorie so it is not good for those who want to lose their weight. It is prepared by adding the tempeh starter to soybean. It is baked before eating it. You can eat it in its raw form also. 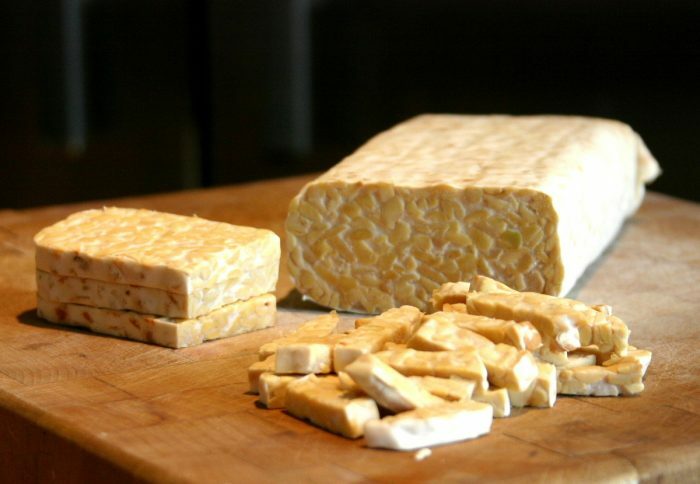 Tempeh is a great source of probiotic and a good substitute for meat and tofu. As it is deeply baked so most of its nutritional part gets burned. 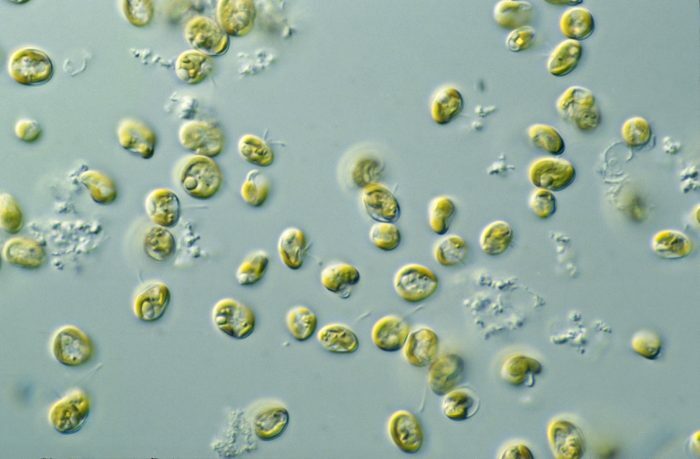 Microalgae is not a probiotic food itself but it nourishes the probiotic healthy bacteria in your guts which stimulates to your digestive system. This is a super food based on oceanic plants which are blue-green algae, chlorella, and spirulina. It helps to enhance your gastrointestinal health by increasing the number of beneficial bacteria in your guts. It also boosts to your energy level. So add it to your daily morning smoothie. You can get it at the local food store. You can prepare a delicious juice by adding it which will improve your health along with soothing your taste buds. Kefir is a beverage made up of milk which was first originated in Turkey and Russian countries. You can include this delicious beverage in your morning breakfast. It is prepared by fermenting the cow, goat and sheep milk and fermented kefir grain is added to it. 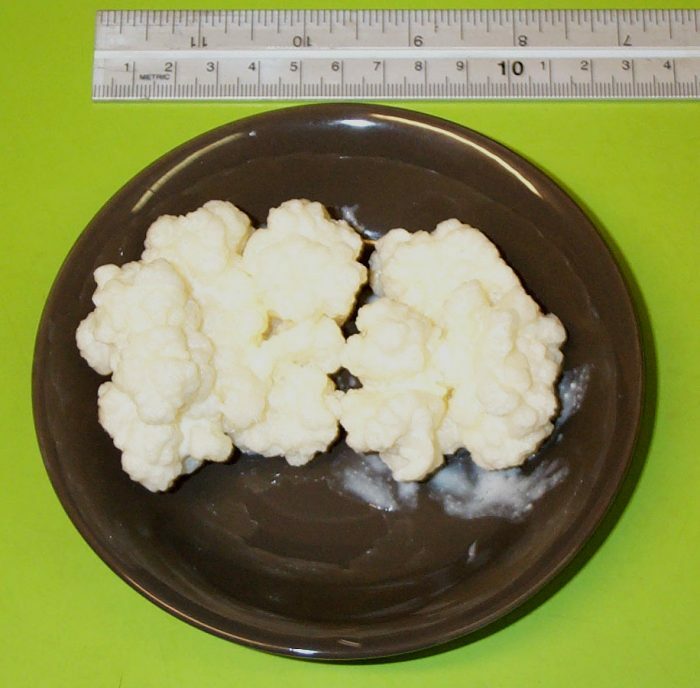 Kefir is rich in many healthy bacteria. Approx. 10 to 20 types of bacteria exist in it. This milky drink is quite similar to yogurt and like yogurt, it is rich in probiotic features which stimulates your digestion power. Always buy an organic version of kefir so check the ingredients before buying it. This is a rich antioxidant. You can spread it over fruits, smoothie, and granola for adding more taste. Apple cider vinegar is a good source of probiotic which stimulates the digestive enzyme. Apart from improving your digestion capacity, it is good for your overall health too. 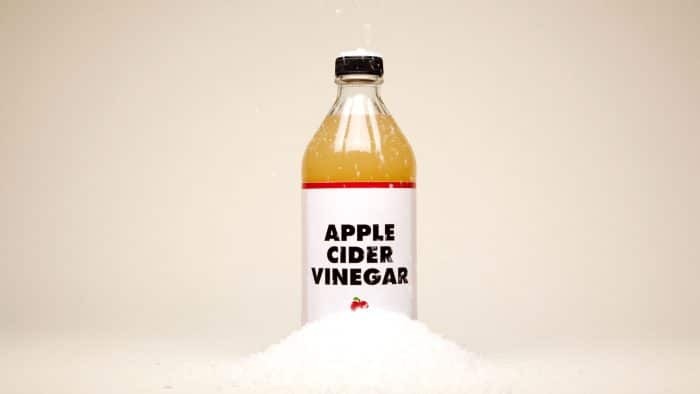 The daily intake of ACV helps in reducing your blood sugar level, cholesterol level, reduces your stretch marks and also decreases weight by burning fat in your body. You can have it directly with a spoon or can spread it over salads for adding more taste to it. Its acetic acid ingredient is good for your health and it nourishes the probiotic bacteria in guts. Make sure the apple cider vinegar you are buying from the store is organic only as it is best for your health. 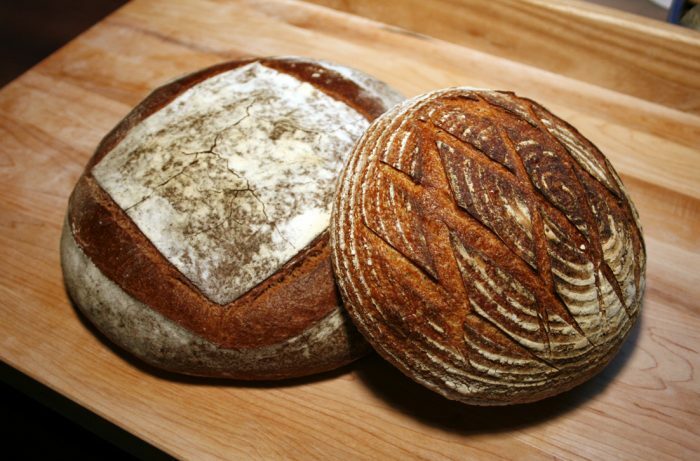 Sourdough bread is another rich source of probiotic. The lactobacillus bacteria existing in it stimulates your digestive capacity. It is prepared by fermenting the wheat flour, gluten & sugar with the help of yeasts and healthy bacteria which takes the form of sour bread. So no sour flavor is added to it externally. It tastes sours naturally because of the fermentation process. Apart from the probiotic feature, it is a good source of minerals, vitamin, and protein. In comparison to other similar loaves of bread, it digests much more easily as because starches of wheat flour are predigested by the healthy bacteria. Soft raw cheese is a good source of probiotic which along with adding taste to your tongue stimulates your digestive health. 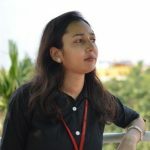 Regarding probiotic feature of cheese, you should be aware that not every variety of cheese is rich is probiotics even though prepared by the fermentation process. 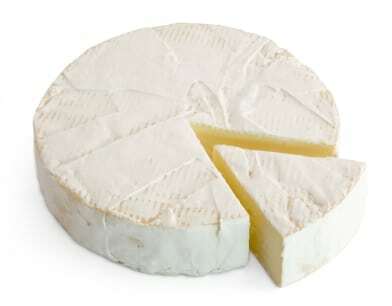 So look for only aged soft cheese like gouda, swiss, cheddar, parmesan as these are rich in probiotic bacteria. These aged cheeses are prepared by adding the lactic acid bacteria to milk and thus curd is formed through lactic acid. As much as older the cheese would be, it will be better for your stomach health. 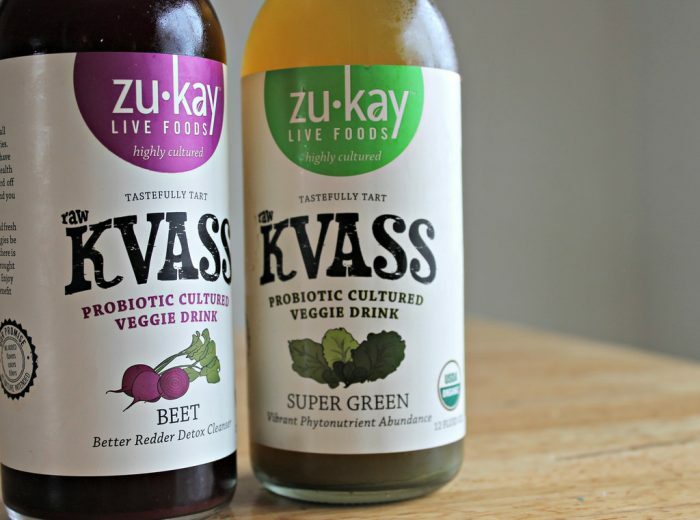 Beet kvass is not only a delicious drink but also it is enriched with many healthy features. Its fermentation process is quite similar to the yeast beer. Beet is already a healthy diet and when it is fermented with healthy bacteria its properties becomes twice and this generates a rich probiotic food. As long as the fermentation process would be the quality will be much more improved one. It was first discovered in Russia and gradually it spreads its fame worldwide. Beet starches are fermented for preparing it which is also known as lacto-fermentation as Lactobacillus bacteria is involved in this process of preparation. Include this healthy drink with your morning breakfast and boost your digestion capacity to stay fit and healthy. A healthy digestive system is a key to good health. So it is important to include foods rich in probiotics specially fermented and organic ones as it will improve your body’s intestinal function or digestive function. 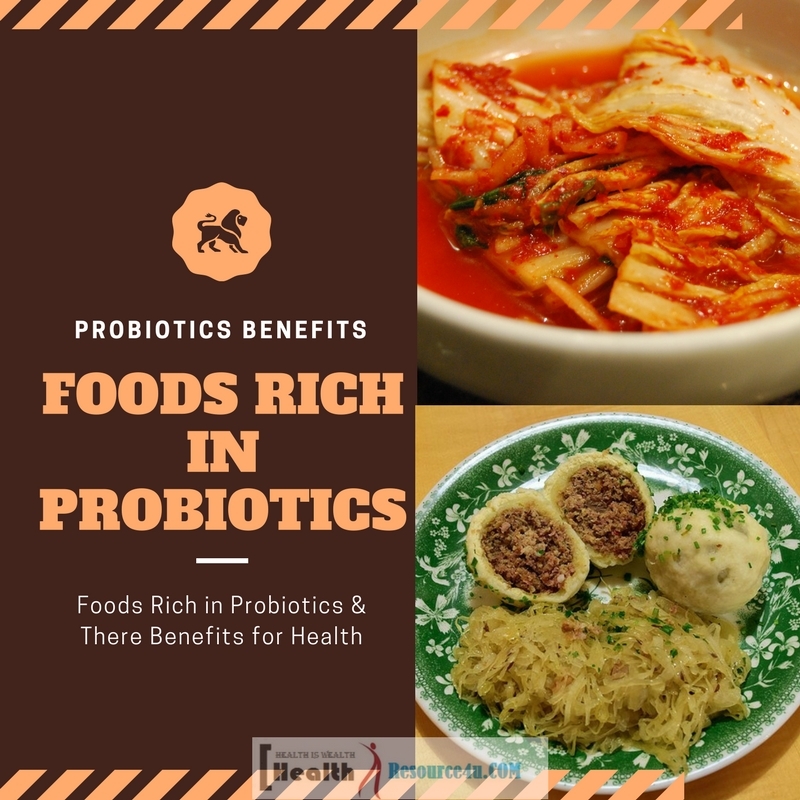 All the food items mentioned in this article are the rich source of probiotic and also enriched with other healthy properties. So as per your choice, you can include any one of them in your daily meal.